Since we officially released Go & Grow in June, it’s received enormous popularity from the investor communities. Along with this, we’ve had several questions asking us to go into further detail about what happens in the background. Namely, asking us to cover how we distribute the claims added to Go & Grow, what the most popular ratings are and more. In case this is the first time you’re hearing about Go & Grow, we’ll give you a brief overview of what it is and its main features below. Go & Grow is Bondora’s most simple and automated service to help you achieve financial freedom. You don’t need any experience to get started, no matter what your age is or background in investments. If you want to read more about Go & Grow, click here. How does Go & Grow work? If you’ve read any of our other blog posts, you’ll know we always preach diversification. 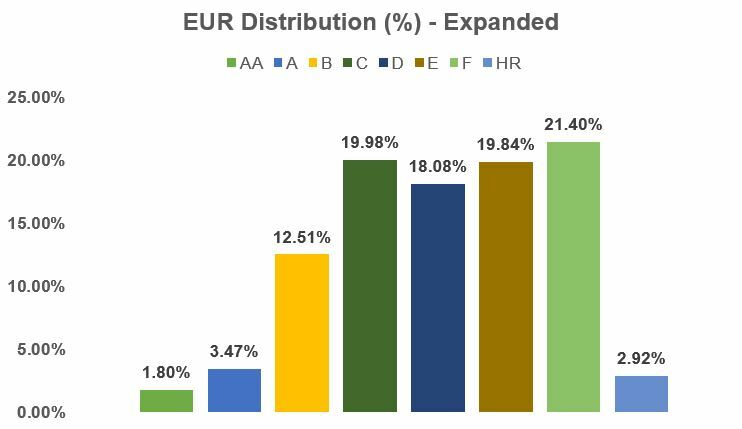 Instead of investing everything into one credit rating, we’ve distributed the claims across all eight credit ratings ranging from AA-HR. The lowest distribution is in AA ratings, followed by A and HR. 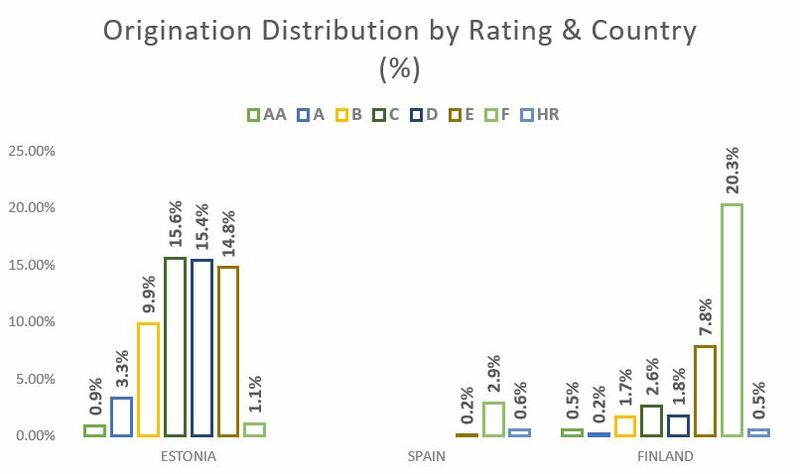 The largest distribution is in F rated loans (21.4%), followed by C (19.98%), E (19.84%) and D (18.08%). Not only do we spread the risk of the portfolio into tens of thousands of different loans, but investors also benefit from diversification that traditionally could only be achieved with services such as Portfolio Manager and Portfolio Pro. 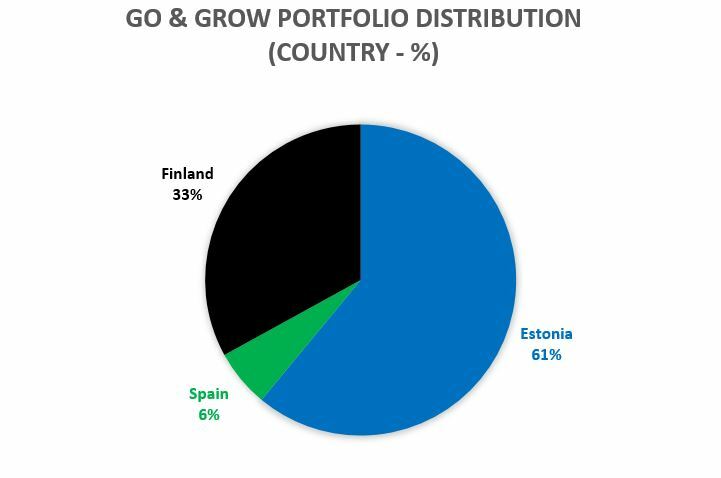 Estonia takes the largest share of the total at 61%, followed by Finland at 33% and Spain at 6%. Below (Figure 2a), the graph shows the total distribution of originations in July 2018. 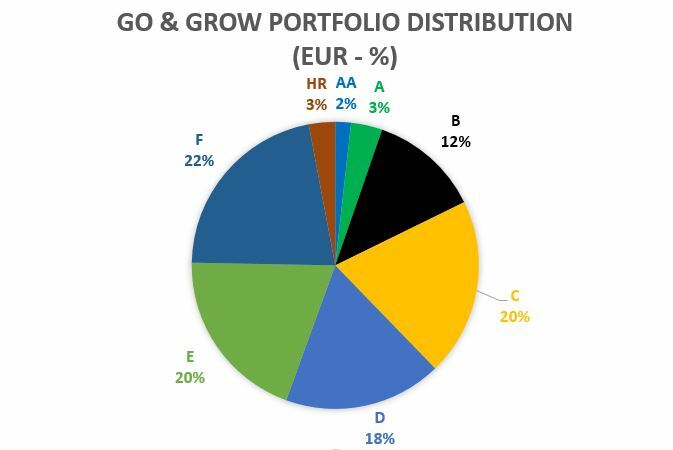 If you compare figures 1b, 1c and 2a, you can see that the distribution of Go & Grow claims essentially mirrors that of the whole portfolio. We publish a monthly update on this – click here to read more. Another interesting point for review is the different goals our investors are striving for. The clear majority is for extra income (73.76%). However, this is likely to be skewed due to it being the default option. 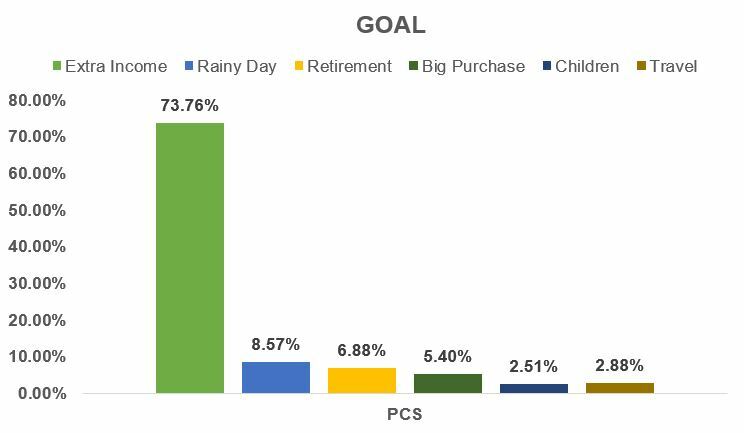 After that, Rainy Day (8.57%), Retirement (6.88%) and Big Purchase (5.40%) follow as the most popular goals. What’s your goal? Let us know in the comments!